Lawlors Customs based in Loughinisland Co. Down is a real breath of fresh air. We are avid and committed Aircooled Volkswagen enthusiasts and our passion for them runs right through to the bone. Whether Beetle, Beach Buggy, Bay, Split or even modern T4's, if its a VW, we'll look after it. Our job is to make your dreams a reality and restore the faded memory of your car, to a vehicle that makes memories. 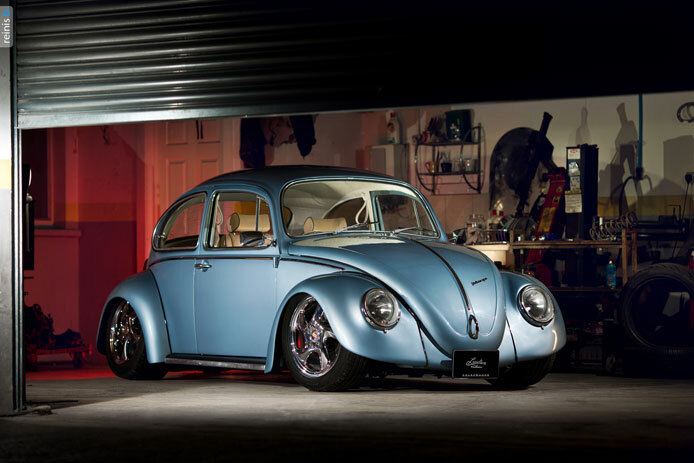 We have been restoring and keeping Airr-cooled Volkswagens alive for the past 10 years through bodywork restoration, mechanical overhauls, Full custom work and general servicing. With a wide range of contacts within the UK and as far afield as California and Australia, Lawlors Customs can find vehicles and rare parts and have them imported right to your door. Lawlors Customs offer a full package through our own facilities and our wide range of contacts. Parts as well as complete cars, and projects do crop up from time to time so keep an eye on the 'projects'/'for sale' pages on the website and keep an eye on our facebook page!